George Quinif is an Arizona native and Brophy College Prep graduate. George obtained his real estate license in Texas in 1984 while receiving a BBA from Southern Methodist University, Dallas Texas in Finance and Real Estate. 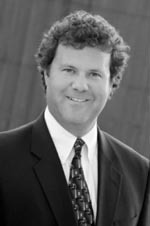 George started as a commercial land broker in Dallas in 1984. In 1987 George obtained his Arizona real estate license then worked in a family business until joining Don Bennett as a commercial land broker in 1992. While staying active in land brokerage George and Don put land investment groups together and developed various properties in the west valley of metro Phoenix from single family subdivisions to retail and office buildings. George started Peak Group LLC in 2002. Peak Group LLC, Real Estate Services is a full service commercial real estate firm that concentrates on commercial sales and development primarily in the West Valley of Metro Phoenix. George has obtained entitlement approvals for multiple commercial & residential projects through Maricopa County and most of the Southwest Valley municipalities, including the cities of Phoenix, Tolleson, Avondale, Goodyear, Buckeye, Glendale and Surprise. Peak Group LLC offers a wide range of real estate services including brokerage, consulting, entitlement and development management. Since 2002 while staying active in land brokerage George has teamed up with Perry Mathis and David Fretz of Cason Tyler Communities (www.casontyler.com)forming investment groups to buy, entitle and develop raw land. George, Dave & Perry have created numerous investment groups and have land holdings in select areas in Arizona and New Mexico. George is a member of Arizona Commercial Brokers Association, Southwest Valley Chamber of Commerce and has served on various boards and committees. Member of the Arizona Commercial Brokers Association. Markets over $35 million of properties in the western region of the valley. Works diligently with Investors, Residential Developers, Homebuilders, Industrial/Commercial users and developers. Formed Sunrise Holdings LLC development company. Current projects are Primrose Estates Phase I & II, and Avondale Towne Center 115th & Van Buren and Coldwater Business Park at Van Buren & Elisio Felix Way. Gross sales over $7 million in 1993-1999. Interior Door Manufacturing Company with annual sales of $20 million and 140+ employees. Commercial Real Estate Agent/Broker for Commercial land sales. Gross sales averaged Over $6 million per year. Concentrations in Finance and Real Estate.